Home » Robotic Vacuum Cleaners » iRobot Roomba 530 Review – Worth Your Money? iRobot Roomba 530 is another vacuum cleaner from Roomba series. It comes with improved navigation, cleaning coverage, vacuum pickup, and particle filtration compared to older models. As vacuuming is one of the least fun ways to spend time, the iRobot 530 is your new best friend. It has more than enough power to clean up whatever mess you can make and is very easy to use and operate. Roomba is surprisingly simple to operate. 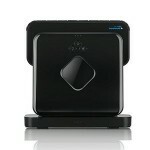 There are only three buttons (clean, dock, spot clean).When you are ready to clean, just press the clean button. iRobot 530 Roomba can avoid obstacles and will detect stairs and similar drops. You can set up a zone where you do not wish him to clean. Like door you want Roomba 530 not to pass when cleaning. You don’t even have to keep track of his battery as iRobot 530 is self-powered. Once Roomba 530 reaches low battery, it will self-navigate to his docking station and plug himself into recharge. Underneath are wheels, cliff avoidance sensors, rotating corner wall brush and the regular brush to flick the dirt up from the floor. The two wheels are independently controlled and can send the vacuum any direction that it needs to go. The wheels adjust their height automatically to allow the transition to different floor surfaces and the ability to climb small steps (no more than 1cm or so in height). It comes with spinning side brushes, which are innovation. They grab dirt and dust from corners and along wall edges. Two high-speed, counter-rotating brushes pick up pet hair, cat litter, food crumbs, and other debris from floors. The main brush rotates in one direction while another rubber type brush rotates in the other direction. This helps pass the dirt upwards towards the back of the vacuum into the dirt compartment. On the back of the robot Roomba 530 vacuum is the dirt compartment which can store enough dirt for about 2 – 3 cleaning sessions. The compartment unclips easily to make emptying the dirt and other debris simple. Debris goes into a large bagless dustbin. iRobot Roomba model 530 has improved filtration system which traps dust, pollen, and other allergens inside the unit. The vacuum’s cleaning head automatically adjusts to transition from wood, tile, and linoleum to carpets and rugs. It is truly all floor vacuum cleaner. The anti-tangle technology ensures it won’t get stuck on cords and rug fringe. If the unit begins to pick up a cord or carpet tassel, it will automatically reverse the direction of its brushes to extract the item. On the front of the vacuum, there is a light-touch bumper which detects walls and slows the robot down to impact gently against any obstacles. Bumper system senses obstacles and vacuum automatically slows its approach, gently touches the obstacle, then redirects to continue cleaning under or around the object. It is ideal for cleaning under bed, couches and other hard to reach areas. iRobot Roomba 530 can sense dirtier areas and spends more time cleaning them. It uses built-in cliff sensors to avoid stairs and other drop-offs. Also, invisible barriers can be set using the unit’s Virtual Wall system. To mark off-limit areas, simply place a Virtual Wall at a doorway or other opening and adjust the infrared beam setting to the distance of the opening. The unit automatically detects the beam and will not cross it. The iRobot Roomba 530 returns to its self-charging Home Base to dock and recharge between cleaning cycles or when the battery starts to run low. Its advanced power system consists of a fast-charging battery, a three-hour charger, and a power source that supercharge the unit for up to 120 minutes of continuous cleaning. This can cover about three to four average-size rooms on a single charge. Other accessories include two Virtual Walls (that require two D batteries each), a brush cleaning tool, and an extra filter. With two dogs in the house we could not live without our Roomba. The 530 is a vast improvement from earlier models. How iRobot Roomba 530 Works? The Roomba uses a computer program called AWARE which controls where the vacuum should go and what it should clean. Dozens of sensors are inside the robot which allows it to work out where it has been and where it still needs to clean. It will clean one patch, move somewhere else, go another place, move back to the original place and then move to somewhere else entirely. Thanks to AWARE intelligence it manages to clean each part of the carpet at least four times in 1 cleaning cycle. The results are excellent. How iRobot Roomba 530 Vacuuming Robot Works? How Good is iRobot Roomba 530 Compared to Competition? The main question on most people’s mind is how good this robotic vacuum actually is. It isn’t completely flawless. You may need to let it run twice as it tends to miss dirt on the first clean on the carpet. A cleaning cycle takes around 45 minutes for an average size room (13ft2), and it is capable of cleaning three rooms in one cycle before a recharge is needed and to empty dust bin. Cliff avoidance sensors prevent the vacuum from tumbling down the stairs. Virtual walls can be used if you don’t want it to pass certain points of your home. Virtual walls are miniature lighthouse shaped devices. They emit an invisible beam which acts as a wall. The robotic vacuum will not pass that wall. Once the cleaning cycle is complete, or the batteries start to get too low, the Roomba 530 vacuum will start to scan for the base station. When it finds it, the vacuum automatically docks and starts it’s charging cycle. It needs a more maintenance than a regular vacuum due to it’s smaller size. Emptying bin needs to be done daily, and the brushes pick up a heck of a lot of dirt which needs cleaning off too. iRobot Roomba model 530 cannot vacuum stairs, curtains or get cobwebs from the ceiling. For this reason, it is always recommended to have a handheld vacuum cleaner for tricky parts. Compared to the competition this robotic vacuum cleaner stands in top 5. What you get in box? The spare parts include a corner brush which gets into the corners of your room and filters which should be changed ever few months. The cleaner just helps with cleaning the brushes. The Roomba 530 model is a top quality and very well-built product. It is highly recommended for your house vacuum needs. It will vacuum your home are automatically even when you are not at home. As you leave the door, just hit the clean button and then you come home to a clean carpet every day. The docking happens automatically with no intervention. Unfortunately, there is no option to schedule so you can program it to work when you are away for an extended time. The 530 model is a little more limited than it’s big brother (the 560 series). As mentioned it doesn’t have the option to schedule nor does it have a remote control. If you are completely lazy, then go for the iRobot Roomba 560 model which can be started, and driven around, via remote control. It can also be scheduled to vacuum automatically at a convenient time for you. Roomba 530 is surprisingly simple to operate. There are only three buttons (clean, dock, spot clean) and it is silent, but it can get stuck on rare occasions. Virtual Walls that come with Roomba 530 are a bit annoying as they need to be turned on every time you want to use them. They will send out a beam that the Roomba won’t cross for a predetermined period (up to 9hrs). They are useful if you want to limit Roomba to a particular area. The Roomba is a top quality and very well-built product. It isn’t completely flawless. You may need to let it run twice as it tends to miss dirt on the first clean on carpet. Unfortunately, I still did not have the opportunity to test and write review regarding Roomba 980.